The Sunday Business Post reported on December 27, 2015 that the Irish Government seeks to fast-track a bill to be called 'Philomena's Law' so that adopted children will be able to trace the identities of their birth mothers. 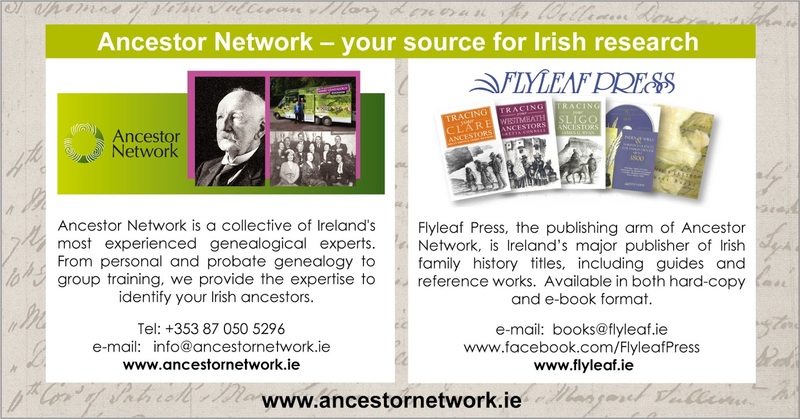 If you are planing to visit Ireland to explore your family history, you may be interested to know there is a free Genealogy Advisory Service available at the National Library of Ireland. The library is centrally located in Dublin and is easily accessed. Professional genealogists are available all day at the library to analyse what you know about your ancestors and to advise on future directions and sources of which you may not be aware. The service has been operating for the past two years and is completely free with no appointment necessary. There are occasional queues, but as often as not, service is immediate. The Library also provides PCs with access to a range of databases which you can use to explore the directions you receive from the advisers. The very extensive collection of the library is also available for research purposes. To understand the differentiation between the National Library and the National Archives of Ireland, the latter contains the records of public bodies and government ministries. The National Library of Ireland mainly contains privately generated material such as newspapers, books, pedigrees, and manuscripts. The service has been very well-used to date by visitors from all over the world, and also by Irish people, whose interest in genealogy is increasing all the time. Having been involved as an adviser myself, it is interesting to see the diversity of problems presented by visitors. Experienced researchers can benefit from talking over their projects with experts. Sometimes, we all get stuck into a particular mindset on our research and getting another opinion can give us a new perspective and suggest new approaches. The advisers are provided by two research companies, Ancestor Network and Eneclann, who together won the contract to provide the service. The service will continue until the end of the year and it is expected the Library will appoint service providers again next year. The advisers are mainly professional genealogists working within the two companies. Ancestor Network provide research services to individuals and also conduct consultancy projects on various aspects of genealogy. Eneclann also offers genealogy and history research services and also archives and records management services to private and public sector organisations. The Archive of the Month in the Representative Church Body (RCB) Library are 'Preachers Books'. Although primarily records of meetings, collections etc, many contain information of genealogical value in the 'remarks' column - see an example below. Maeve Mullin of Ancestor Network describes their relevance and availability on the RCB websitehttp://ireland.anglican.org/about/128. The Sunday Business Post Reports that Irish Minister of Finance may look to increase inheritance tax thresholds. 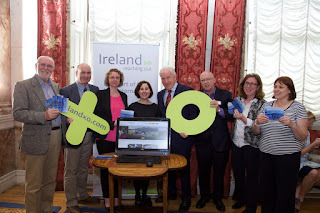 Dublin; June 16th 2015: A new enhanced website was launched today by Ireland Reaching Out (Ireland XO). 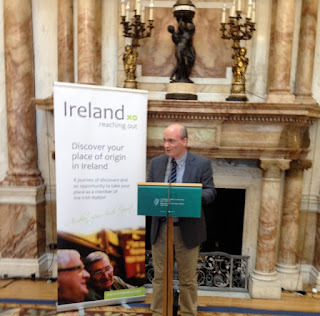 Ireland Reaching Out connects people of Irish heritage around the world to their ancestral parishes and counties in Ireland, enabling them to celebrate, and nurture, our shared cultural identity and heritage with local Irish communities. 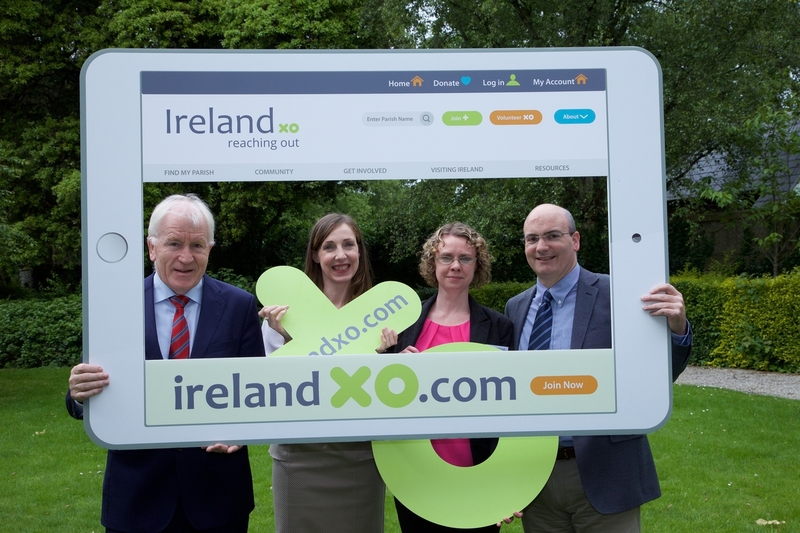 The new website, IrelandXO.com, has a contemporary look and feel, and has been built using the latest in community engagement software. It offers every local community in Ireland an enhanced parish profile and platform from which to reach out to, and reconnect with their global Diaspora. The functionality beneath the design will enable new features and services to be offered. The new site has been built by Dara Creative, an award winning Dublin-based web design and consultancy agency. 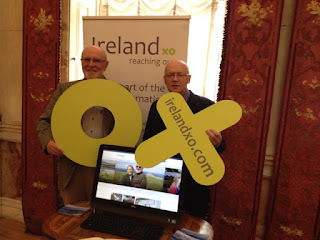 The theme for the redesign of IrelandXO.com is “Awaken Your Irish Spirit”, which speaks to all of the global Diaspora – both the “Deep Diaspora” whose ancestors are long gone from Irish shores and also recent emigrants who can remain involved with their parish of origin while abroad, through the website. “ Ireland XO has been a pioneer in engaging our local communities to connect with the Irish Diaspora abroad. 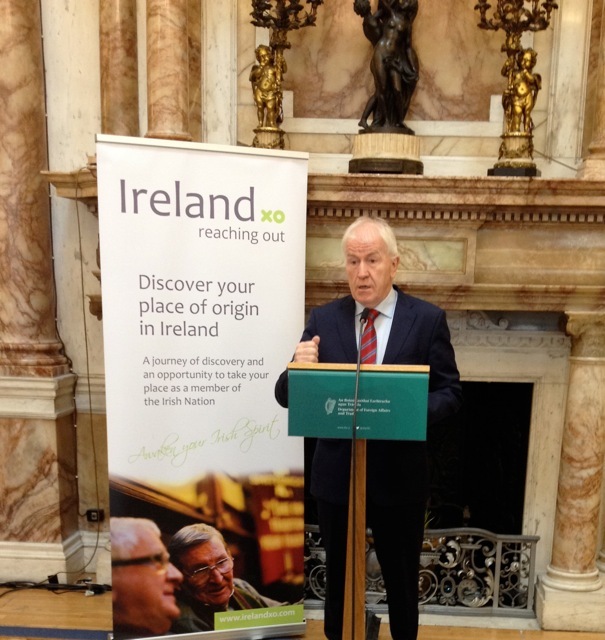 The Ireland XO approach to bringing engagement with our Diaspora to the heart of our communities brings a very personal and meaningful aspect to this relationship. I am delighted that through support from the Emigrant Support Programme, the Government has been on this journey with Ireland XO. The launch took place in Iveagh House, Dublin and was attended by Ireland Reaching Out Volunteers, members of Government, National Library of Ireland staff, local County Council representatives and friends from all over Ireland and abroad. Ireland Reaching Out (www.Irelandxo.com) is a nationwide Diaspora programme aiming to reconnect 70 million Irish Diaspora by providing a platform where all people of Irish descent can research and discover their ancestral history, develop relationships with people in their parish of origin and engage with the wider Diaspora community. The Ireland XO programme focuses on two concepts: Firstly, reverse genealogy, where every village and parish countrywide identifies who left their area and community, and traces them and their descendants, inviting them to return to Ireland and connect with their place of origin. Secondly, “Meet & Greet”, where Ireland XO organises and trains volunteers to welcome returning Diaspora to their local communities. This free volunteer-based service enables returning Diaspora to visit the houses their people were born in, the land they farmed, graves of family members and if possible, meet living relatives in the area, enabling vibrant lifelong connections to be established. Ireland Reaching Out has over 3,500 dedicated volunteers active in Irish parishes and abroad. The Ireland XO website welcomed its one millionth visitor in 2014. Ireland Reaching Out is a non-profit organisation and is funded by the Department of Foreign Affairs and The Heritage Council. Commenting today, the NLI’s Ciara Kerrigan, who is managing the digitisation of the parish registers, said: “We announced initial details of this project last December, and received a hugely enthusiastic response from people worldwide with an interest in Irish family history. We are delighted to announce that the project has been progressing well, and we will be able to publish all the digitised records online from 8th July onwards. material not otherwise available through the public library service or an academic library. The Genealogical Office, the Office of the Chief Herald in Kildare Street, and the National Photographic Archive in Temple Bar are all part of the National Library. Further information is available at www.nli.ie, @NLIreland.